Low-carb diets frighten some doctors, dietitians, and trainers. Many health experts don’t believe a person can be healthy on a low-carb diet long term and don’t really understand how it affects the body’s metabolism. After visiting and interviewing Jeff Volek, PhD, RD, one of the nation’s leading low-carb diet and research experts, it became clear to me that an inevitable change in understanding the impact of diet on human health is coming and it’s backed by profound scientific study. Before I get into the interview with Dr. Volek, I would like to say that to summarize the interview may not give it the full credit it deserves. So, while I’ll highlite a few points here, I’ve included virtually the entire 90 minute interview in this article. 1. The body’s metabolism can healthfully and safely adapt to a low-carbohydrate diet long term. 2. Carbohydrate restriction not only helps people manage type-2 diabetes and other insulin resistance issues, it can reverse many existing cases of type-2 diabetes and put a high proportion of cases with metabolic syndrome into complete and sustained remission. 3. Most people misunderstand the metabolic effect of ketones, which are byproducts of fat breakdown, and how these ketones can healthfully affect the body long term for weight management and for managing Type-2 diabetes. 3. Dietary saturated fat is not bad when you are low carb adapted. 4. Dietary sugars and refined starches are not needed to feed your brain or fuel exercise. 5. There’s a revolutionary new sports drink that is not sugar based that helps athletes maintain energy over longer periods of time than traditional sports drinks. 6. Mineral and electrolyte management is the key to avoiding side effects typically associated with low carb dieting. 7. Some dietary supplements may be relevant for certain individuals. 8. Dr. Volek has virtually been following a low carb diet for over 20 years and currently has a daily dietary intake of over 70% fat, about 5-10% carbohydrate, and 15-20% protein, yet maintains a healthy body weight, healthy lipid profile, has an amazing level of focus and energy. He has produced over 250 scientific studies at the nation’s top kinesiology program (UConn) and contributed to several books including, The Art and Science of Low Carbohydrate Performance, The Art and Science of Low Carbohydrate Living, and the New York Times best seller, The New Atkins for a New You. Dave: Thank you Dr. Volek for taking the time for this interview. 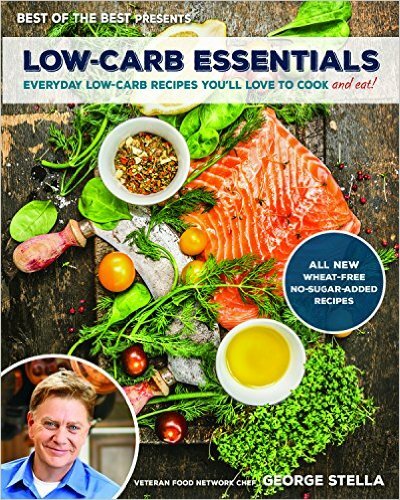 I admire your work because it not only offers much to help others looking to address health concerns, but it offers something that many people do not truly understand – low carbohydrate diets. Some people believe if they go on a low carb diet, it will be bad for their health. They think that on a low carb diet, they have to eat too much fat and that if they do, it will clog their arteries or without enough carbs, they might get keto-acidosis, a dangerous threat to their health. 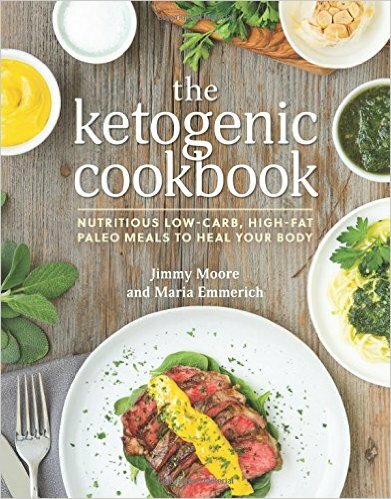 But, I learned from your books that there is a big difference between nutritional ketosis that comes from following a low carb diet, and keto-acidosis, commonly seen in diabetics. Can you explain? Dr. Volek: This is a highly misunderstood aspect of metabolism. The first and probably most important point regarding the difference between nutritional ketosis and keto-acidosis is one of magnitude. The levels of ketones (byproducts of fat metabolism) in keto-acidosis, which is primarily seen in a person with Type 1 diabetes where you have insulin insufficiency, often exceed 10-20 millimolar (level of blood ketones), which is a serious life-threatening condition. When compared with an individual on a low carb diet, which elicits nutritional ketosis, however, we are generally looking a blood ketone levels (levels of ketone circulating in the blood) of 0.5 to 3.0 millimolar. So the difference in concentration between keto-acidosis and ketosis is significant. In nutritional ketosis, you don’t have a change in acid-base status of the blood,. It’s no different than having a normal level of glucose versus a hyperglycemic state (high blood sugar), which is not good, or a hypoglycemic (low blood sugar). So there’s an optimal or desirable range for ketones in the bloodstream where you’ll see many metabolic benefits, and a healthy person will not achieve diabetic keto-acidosis, which is due to a fundamental deficiency in insulin. Long Term Safety with Low Carb Diet? Dave: Many people lose weight very quickly on a low carb diet, but get concerned about doing it long term. Is it safe to live long-term on a low carb diet? Dr.Volek: Yes, probably the strongest evidence for that comes from the fact that as humans we evolved probably over 95% of human history on a diet that had relatively low access to carbohydrate dense foods or at least they were consumed intermittently. So the majority of time, human beings evolved in a state of nutritional ketosis. In many ways, you can say we’re hardwired to respond well to restricting carbs, but we have had limited time to adapt to high amounts of sugars and starches. Even a type 2 diabetic who has a lot of metabolic impairments, adapts fully to a low carbohydrate diet. Dave: If someone wanted to go on a low carb diet, say 50 or less grams of carbs per day, how would they know if they are in nutritional ketosis or not? Dr. Volek: Ketones can be measured in the urine as the easiest and cheapest test. But, because nutritional ketosis elicits adaptations over time in the way kidneys filter blood and thus excrete ketones, this method’s results should be viewed with a considerable degree of caution. Ketones can also be accurately self-assessed using handheld devices that measure ketones from a finger stick of blood. Saturated Fat Can Be Good? Dave: As alarming as it is to most people, you wrote and provided the references that current evidence shows no association between dietary saturated fat and cardiovascular disease, but there is an association of increased risk for cardiovascular disease and diabetes with increased amounts of saturates circulating in the blood. What then, from a diet perspective, is associated with an increased amount of circulating saturates in the blood? Dr. Volek: Carbs control insulin and insulin controls lipid (fat) burning for fuel. So, in our work, what we’ve shown, is that even though you’re eating more saturated fat on a low carb diet, perhaps 2-3 times the amount, the amount of saturates in your blood goes down because you’re body prefers to burn saturated fat as fuel. Many people like to embrace the common aphorism, “You are what you eat,” but this is clearly not true, instead, “You are what you save from what you eat.” And when you’re on a low carb diet, your body is preferentially oxidizing fat for fuel, so you’re not storing it or accumulating it in cells, arteries, or fat stores. So if anything, dietary carbs are more related to increasing membrane levels of saturated fat. Dietary saturated fat has little correlation with the level of saturated fat in the body. Dave: That’s a huge shift in paradigm because a lot of people don’t realize this and believe saturated fat causes heart disease. Dr. Volek: Not just a lot of people, about 90% of medical professionals and even lipid researchers find this mind boggling. Dave: To me, it makes total sense. If you’re insulin is up from too many carbs, then your body will respond with elevated saturates in the blood. So it makes sense. Dr. Volek: It really threatens about 40 years of dietary policy that has been obsessed with the idea dietary fat increases your risk for heart disease. Rather than get stronger over time, if anything, the evidence has gotten weaker and weaker for this outdated hypothesis. Dave: Do you recommend a low carb diet to everyone? Dr. Volek: I don’t push low carb on people, but I’m a strong believer that we should make it available for people and if they’re willing to listen, then I’m more than happy to talk to them about it. It’s not right for everybody. The truth is there is no one perfect diet or cookie cutter approaches. This is why I think personalized nutrition is where we need to go. Low carb is just one part of personalized nutrition, especially because many people are struggling with over consuming carbs relevant to their tolerance. Bacon, Sausage, and Salami are good on a low carb diet? Dave: In your book, you recommend bacon, sausage, and salami. But, some studies link the consumption of these processed meats with cancer. What’s your take on that? Dr. Volek: Most of that is epidemiological evidence and that’s one of the weaker forms of evidence when trying to make direct cause and effect connections between a nutrient and a disease process. One of the real limitations of epidemiological research is that it’s impossible to account or adjust for all the confounders in an experiment. For example, for people that eat a lot of processed meats they are probably eating a lot of processed breads with it or have other lifestyle factors that are very hard to control for in these types of experiments either because you don’t have the information or it becomes statistically problematic controlling for all these. So, I am not aware of intervention studies where people who are given these foods that show a negative effect, especially in the context of low carb when we know that following low carb for a while changes the body’s metabolism profoundly. It’s like the saturated fat story, which could be harmful if you’re also eating a lot of carbs because your body is then storing it, but that same dietary saturated fat is having a completely different effect in the context of a low carb diet where it is serving as a fuel and contributes to satiety – feeling a fullness. So the evidence is far from convincing on processed meats. They could have a very different effect on the body when following a low carb diet high carb diet because the body is in a different metabolic state. Dave: So if epidemiological studies are somewhat weaker with regard to correlating diet with health effects, could you share what types of studies that may be stronger? Dr. Volek: If you look historically at epidemiology, there are many examples where they clearly got the wrong answer based on subsequent follow up research. It was this approach that led us down the flawed path of prescribing hormone replacement therapy (HRT) to prevent heart disease back in the 1990s. Only after the prospective, randomized Women’s Health Initiative data were analyzed was it discovered that HRT actually causes heart attacks (and some forms of cancer) rather than prevents them. At the same time, epidemiological studies have a place in that they can give you a starting point for a hypothesis. Then, you’d test that hypothesis with a more rigorous experiment such as a longitudinal intervention study in a cohort where you manipulate that particular nutrient over time within a person to see how it changes. Even in those types of studies there is wide variability in the level of control and compliance to dietary protocols so the results have to be interpreted with caution. A lot of the low carb studies are not well controlled, especially the long term ones. Even those are very limited in what they’re telling us and a lot of people use those year-long low carb studies to say they’re no better than low fat for weight loss. They are so poorly implemented and have very low compliance and adherence that you don’t know what the heck people are eating when you’re out past six months and in some cases the researchers don’t even bother to collect information on dietary intake. These studies are quite challenging to have participants maintain a specific diet when they’re living in a free living environment that have all the stresses of daily life. It requires a lot of effort, and you know as a trainer, to get people to make lifestyle changes requires a lot of effort, specifically it takes person power to spend time with them, develop a relationship and build rapport with them, provide them the information and education, and counseling they need to successfully follow the diet. We’ve done a lot of free living studies pretty well. We’ve also done a lot of feeding studies, which is another level of control where you prepare the food for people. Those are even more work and get very expensive, which is why you don’t see many long term feeding studies. There’s always a compromise of a study’s level of dietary control versus (n size) the number of people participating in the study. It’s hard to study 100s of people where you’re feeding them over time. The results of well-controlled low carb studies are nothing short of amazing in terms of traditional and emerging biomarkers (distinct biochemical, genetic, or molecular characteristic or substance that is an indicator of a particular biological condition or process; eg. a blood test to measure protein biomarkers for cancer). Even in some of the low carb studies that are somewhat sloppy or poorly conducted, you still see low-carb winning, which shows you how powerful it is because even when it’s administered in a sloppy way, it still tends to work better. Can Athletes go Low Carb? Dave: OK, I’d like to shift gears for a minute. Studies with athletes. What studies have shown that the same athlete can perform better on a low carb diet than if s/he followed a balanced or high carb diet? Dr. Volek: Well, it depends how you define low carb first. There’s been a number of studies that have compared high fat to high carb with athletes. And with the high fat diet, it’s usually 20% carb, but it’s not low enough in carb where you’re inducing nutritional ketosis. So you don’t have keto-adaptation. But, a lot of those studies are showing that when you give adequate time, there are consistent metabolic adaptations leaning toward burning more fat relative to carbs. How that translates into performance is a bit mixed. Most of those studies usually show no difference in performance between high carb diets and high fat diets. There’s a couple of studies that show improved performance on high fat and you might find one with a decrement in performance, but it’s usually no difference or better performance. But, very few published studies have examined keto-adapted athletes, which is when you take the carbs down further (about 50 grams or less per day). Dave: The only study I saw with athletes was the one by Dr. Stephen D. Phinney with cyclists discussed in your book. Dr. Volek: Yeah, there’s really Steve Phinney’s and there was Paoli’s study from Italy that was just published. Dave: What was Paoli assessing – strength or endurance? Patrick (post doc also attending the interview): They looked at a variety of measures with gymnasts including push-ups, vertical jump, and VO2 max VO2 max, or maximal oxygen uptake, is one factor that can determine an athlete’s capacity to perform sustained exercise and is linked to aerobic endurance. The study was very regimented, had good compliance and the athletes consumed roughly 20 grams of carbs a day. These gymnasts adapted well – vertical jump and power didn’t change. Their ability to do push-ups, pull-ups, and aerobic capacity did not change after five months of eating virtually no carbs. Dr. Volek: My research group also performed a low carbohydrate diet and resistance training study. We focused on body composition and metabolic responses. We didn’t show a decrement in performance; in fact the participants got stronger, as you’d expect with training for both the high carb and low carb groups. But, there were differences in body composition that were favorable toward the low carb. Dave: I saw pictures from one of your presentations on YouTube featuring some athletes who may have tried low carb dieting including Olympic skier Lindsey Vonn and US professional tennis player Marty Fish. Have you researched with them? Dr. Volek: We’ve been studying more the ultra-endurance athletes. Dr. Volek: Mainly runners, actually. My research team studied runners at the Western States 100 last year. The Western States 100-Mile Endurance Run is the world’s oldest and most prestigious 100-mile trail race. Starting in Squaw Valley California near the site of the 1960 Winter Olympics and ending 100.2 miles later in Auburn, California, Western States. There were several athletes restricting carbohydrates to some extent. In fact, the guy who won the race, (Timothy Olson), was a self-proclaimed low-carb athlete. He not only won, but he set the course record. Dr. Volek: It’s tough to say. We did not have blood (for research purposes) on the guy who won, but we had blood on a couple of other guys that were in nutritional ketosis. Most of the low carb athletes are eating some carbs during the race, but the amount of carbs they are eating is such a low amount of calories relative to the energy expenditure. So we don’t really know, but there’s a good chance that these guys are keto-adapted even when they’re eating small amounts of carbs during exercise. However, this is something we have not studied in detail and requires further experiments. Dave: So are you looking forward to studying that? 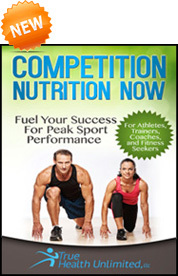 Competition Nutrition Now is a great read for performance improvement – for both males and females. Dr. Volek: We’re trying to, yeah. It was a great experience to establish some relationships with the event staff and several athletes that are training using a low carbohydrate diet. So, we’d like go back. But the hardest part of doing research is finding adequate funding. It’s hard enough to get funding to study a mainstream area of science, let alone a controversial topic such as low carb. Also research funding is targeted more at clinical work that human athletic performance so it’s especially hard to fund this type of work. SuperStarch – A Revolutionary Sports Drink? Dave: That reminds me of a sports drink product, SuperStarch, a healthy, natural, gluten-free innovation in carbohydrate nutrition. SuperStarch is a complex carbohydrate derived from non-GMO corn that uniquely stabilizes blood sugar and causes virtually no reaction from the fat-storage hormone insulin you mentioned in your book, developed by Generation UCan. It’s a revolutionary sports drink? Dr. Volek: Yeah, that’s another fascinating discovery. Dave: Based on the positive reports I’ve read about it, it seems as though it would be more mainstream eventually. Dr. Volek: Yeah, it’s getting there. UCan is a relatively small start-up company that launched about five years ago. They are a slow but continuously growing Connecticut based company. Dave: Have there been studies with it? I saw the difference in how the drink affects insulin in a much slower, more subtle and longer lasting way than traditional sports drinks with sugar (glucose, sucrose, maltodextrin). Dr. Volek: The product was developed initially to help manage kids with glycogen (stored carbohydrate) storage disease in which they lack the enzyme glucose-6-phosphatase in the liver so they struggling maintaining blood sugar levels. It’s a rare, devastating disease for the kids and their families. These kids need to be fed every couple of hours because the risk going hypoglycemic (low blood sugar). This is day and night, everyday of a kid’s life and you can imagine what stress this causes to families to get up in the middle of the night to feed their kid. A lot of them have feeding tubes. There was a researcher in Scotland who was interested in this disease and he was screening a large number of carbohydrate sources with various processing techniques to find one that would provide a sustained maintenance of blood sugar. He discovered superstarch and has the patent on technology. So that is how it was discovered. It’s a waxy maize, high amylopectin (a soluble polysaccharide and highly branched polymer of glucose found in plants) corn starch. But that’s not what’s unique about it. It goes through this meticulous 24-28 hour heat-moisture application that changes somehow, and we don’t know exactly how), the way it’s exposed to enzymes in the GI tract so that it gets slowly absorbed. It’s not a resistant starch, which would get stuck in the GI tract and not get absorbed. Instead, it is fully absorbed so it has 4 kcals/gram, but the absorption is slowed down considerably. There’s been two published studies in the glycogen storage disease literature showing the starch extends maintenance of blood sugar. This is validated by real-World clinical results that allow kids to now go 8-10 hours now in between meals. And there’s one clinical study with Type-1 diabetics who often have problems with nocturnal hypoglycemia (when they go hypoglycemic at night). The results showed that superstarch before bed resulted in less hypoglycemia. And then there’s one study in athletes that the company funded a couple of years ago at the University of Oklahoma, which is probably the one you may have heard about. Dave: When I first learned about this product, I was surprised more athletes weren’t using it. Dr. Volek: Well there’s no doubt this starch gets absorbed very slowly and because of that it has distinct metabolic and hormonal effects. Dave: So could you see it becoming more popular long term? Dr. Volek: It’s clearly a better choice than sugar, which is pretty much 99% of the other sports drinks out there. Whether it’s glucose, fructose, sucrose, maltodextrin, it’s all fast-acting carbs. I don’t see a lot of benefit to spiking glucose and insulin levels, even if you’re an athlete who can tolerate it to some extent compared to a person who has insulin resistance. The sugar-based supplements are problematic in many of the ultra endurance runners who have to consume a lot of gels and drinks to complete their training and events. We are beginning to learn that over-emphasis on sugary fuels and carbohydrate oxidation can lead to GI complications, inflammation, oxidative stress (a condition of increased oxidant production in cells characterized by the release of free radicals and resulting in cellular damage) and cell membrane damage. It’s well known in that community (ultraendurance athletes) that a lot of them are known as ‘vomiters’ because they just can’t tolerate the carbs. They know they need the energy and there’s no other alternative so they keep chucking it in, but then a lot of them just vomit multiple times during these races. Anecdotally, when athletes switch to superstarch, they don’t have that problem. Partly because I think superstarch is such a huge molecule it has an extremely low osmolality (concentration of a solution) and that is one of the big factors in palatability. The higher the osmolality, the longer it will sit in your stomach and potentially cause gastric problems. So the superstarch is extremely hypotonic and gentle on the stomach. There are also a lot of the athletes restricting carbs that may not be using Ucan’s product. They also experience benefit from not taking all these gels – in terms of GI symptoms and faster recovery. I did not appreciate that because I’ve only been recently exposed to this elite group of endurance athletes. My background as an athlete and as a researcher has been in the strength and resistance training world. 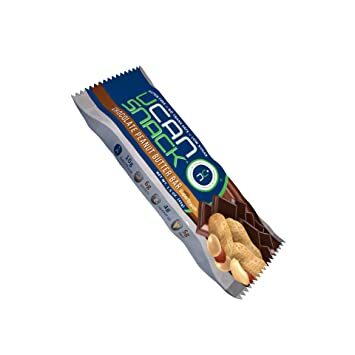 (To learn more about SuperStarch bars, click here). Dave: Yeah, it’s interesting to see and learn how various athletes adapt to different types of extreme training and competition. So now some questions about supplements. I saw you produced over 200 something research papers and I did not research a lot of your work on supplements… I saw creatine I think. Dr. Volek (lightheartedly): You didn’t want to read 200 papers (chuckle)? Dr. Volek: (lightheartedly): I can’t even read a paper all the way through anyways. Dave: (smile). OK so here’s what I’d like to do for the readers of our newsletter. Clearly you know a lot about supplements – way more than the average person is going to know. And if you were to say, based on scientific research, what dietary supplement would you recommend to the public? Would there be one? Dr. Volek: There’s a couple that I think have a place. I did a lot of work with creatine when it first became popular in the mid 90s. And there’s a substantial amount of research showing creatine improves high intensity exercise performance and augments adaptations in strength and lean body mass when consumed as part of a resistance training program. And it’s perfectly safe. It’s an incredibly benign substance so I have no qualms about recommending creatine for strength and power athletes. And in fact, if I was training or training competitive athletes, I would say it would be pretty much mandatory that they’d be on it because it works and it’s legal and it’s safe. Dave: OK, but just the general public, not the guy who’s going to the gym. Maybe for somebody who is around 55 years old. I get a lot of questions about omega-3s, general multivitamins, coenzyme Q-10 (I worked for a cardiologist who wrote books about it). From FAT BURNING to MUSCLE BUILDING, over 20 effective dietary supplements are reviewed in Competition Nutrition Now. Dave: So you’d recommend an omega-3 supplement then? Dave: What else for the general public? What’s your take on coenzyme Q-10 for heart health? The only studies I’ve seen is that it can counter statins (cholesterol lowering drugs). Dr. Volek: Yeah. There’s some evidence that statins can deplete your CoQ-10 levels so it might be prudent. But, I’m not necessarily in a position to recommend. Dave: Yeah, I shouldn’t say recommend. Dr. Volek: I’m not an expert on that, but I am aware of that research and it seems to be somewhat justified I think. Dave: That’s what I’d seen, but I wondered if you’d seen something different. Dr. Volek: I don’t think for the average person that CoQ-10 is going to do much. I do think that there is a fair amount of people who are marginally deficient in vitamin D so if you do not get sun exposure or use sunscreen and avoid drinking milk, it’s quite probably that you could be marginally deficient and would be a candidate for supplementation. I don’t really take that many supplements. I used to. I mean, I’ve tried everything. But, of all the things, by far the biggest change I noticed is with a low carb diet. When you take something, you’re always wondering is it going to have an effect. Usually you’re just left with an empty wallet with not much benefit. But with low carb you just feel different when you’re switching over to burning fat. So I find I don’t need much else to supplement the diet. I don’t eat much fish, so I take fish oil. Occasionally I’ll take magnesium if I feel my muscles are starting to cramp or get twitchy, I’ll go through a 21 day course of magnesium. But I don’t take it all the time. Usually in the summer if I’m sweating more. That’s about it. I don’t take anything else. I’m not competing in anything elite, but even if so, I don’t know if I’d take anything much more than that. Now that I know much more than I did when I was young (chuckle). Dave: What about multivitamins? There was a new study, I think, that showed a multivitamin decreases risk for cancer. Have you seen that one? Dr. Volek: Yeah I mean it’s good insurance. I don’t think it’s harmful if you’re taking it at reasonable levels. But, if you’re eating a pretty good diet I don’t think it’s necessary. I tend to eat a lot of vegetables and if you’re getting a wide away of minerals, phyotnutrients, and so forth from different vegetables and consuming other low carbohydrate foods (nuts, seeds, eggs, meats, cream, etc.) you are getting all the essential micronutrients. So, I haven’t taken a multivitamin in a long time. Dave: OK, so you talked about supplementation, omega-3s are not bad. You talked about the importance of the omega-3 to omega-6 ratio, vitamin D, multivitamins, you personally take fish oil, sometimes magnesium. I also read the low carb dieters need more sodium and it’s occasionally recommended to take bouillon. Do you do that too? Dr. Volek: Yes I’m careful to ensure I consume adequate salt. Dave: And those symptoms are sodium-based? Most of the time, you can have complete resolution of that if you replace the extra gram or two of salt that you’re excreting and that corrects that plasma (liquid part of the blood). So, the symptoms are related to a contracted plasma volume. So it’s a pretty simple solution to a pretty complex and important problem. People mistakenly don’t know what’s going on. But it’s so easily corrected. But, it’s so hard to tell people to eat more salt because we’re told salts are bad. So, this is my life. I am promoting saturated fat and salt. (big laugh). But the facts tell us that both are important components of the diet when carbohydrates are restricted. When carb intake is high, they may not be good for us. Dave: That’s OK because it’s in a different context. And if you look at the science, it makes sense. That reminds me of the whole process of transitioning to keto-adaptation, where a person transitions from their current diet to a low carb diet to achieve nutritional ketosis. One of the limiting factors for succeeding with this process is because people don’t feel well. So aside from sodium intake, that seems to alleviate the symptoms, have you researched or discussed the idea of carb or sugar addiction? Is there a true withdrawal symptom that a person who has been eating about 60% of their diet from carbs and then cuts to only 50 grams of carbs per day? Is there an actual withdrawal symptom that’s related to feeling ill? Dr. Volek: That’s a good question. I don’t know if anybody’s ever asked me it quite that way. But, the way I’d answer that is by first saying that I don’t like to use the term addiction when you’re talking about things like this. There’s been no study on this part, but in my personal experience and in talking to others, it’s better to go ‘cold turkey.’ But there are no typical withdrawal symptoms like there is from withdrawal of addictive drugs like narcotics. You’re not going to go through that type of pain and agony. In fact, it’s better to get there quick and adapt then go slowly because you might find some battles with carb cravings and so forth, so why prolong it? Go right there and adapt and you’ll be fine in a few days or weeks. Dave: I believe I read that 150 grams of carbs are required to support the brain’s function before keto-adaptation. Is that correct? Dr. Volek: No. The brain will adapt to using ketones for fuel. So there’s no risk in going all the way down right away and having some energy crisis in the brain. The brain will adapt quickly for using ketones for fuel. Dave: I read something in the book that the adaptation process can be tenuous? Dr. Volek: Yes, if you’re providing enough carbs to prevent ketosis. OK. I misunderstood your question. Yes, if you’re consuming 150 grams of carbs per day, that’s enough to prevent nutritional ketosis. But, it may not be enough to fuel the body with glucose, particularly the brain. So this is a gray area, where you’re not optimizing fat metabolism because you have enough carbs to prevent fat breakdown and oxidation and you’re not optimizing glucose metabolism because you’re restricting carbs. So, yeah, you may actually end up in a bad place. I am sorry I did not understand your question. You read in text books that as humans, we have an obligate requirement for carbohydrates of 130g/day. But, this is ridiculous because this ignores the fact that the brain can adapt to using ketones. Many health care professionals, however, will tell you the brain is a glucose dependent organ. Well, it is true as long as you’re eating carbs. But it’s not if you allow yourself to produce ketones. We have a requirement for carbs in the diet if you read the DRIs (Dietary Reference Intakes) and it’s 130 grams and it’s based on the requirement for brain metabolism because the brain burns about 600 kcals a day just being a brain. And that’s where the number comes from, but it completely ignores the fact that the body can produce glucose from other non-carbohydrate sources. So how we came up with 130 grams is beyond me because it ignores basic tenants of metabolism and biochemistry that we have known for decades. Carbs Are Not An Essential Nutrient? Dave: So there really isn’t a recommendation for how many carbs we need per day? Dr. Volek: Yeah, you can survive on zero dietary carbs and the brain does perfectly well. It’s a highly evolved strategy for survival, especially back when we had very little access to carbs. The ability of the human brain to use ketones was probably one of the most important evolutionary adaptations that accounts for our bigger brains than other animals. Dave: That’s why I’m kind of confused. So if a person decides to go low carb, the Atkins ‘flu’ (dizziness, fatigue, headaches) is related to sodium being excreted with water, is there a relation between some kind of dependence in the brain with glucose? Dr. Volek: Yeah, I see where you’re going with this. We say over and over again that keto-adaptation takes some time. You gotta give it a week or a couple of weeks. It’s complex because there’s robust metabolic adaptations going on. So it’s hard to put an exact number on it, how many days it takes. It takes roughly a week or so for your cells to change their metabolic machinery to fully burn ketones and fatty acids for fuel. But during that time the brain still has adequate supply of glucose from the endogenous stores and glucose formation from non-carbohydrate substances like lactate, amino acids, and glycerol. Dave: Can you tell now when you’re more in a nutritional ketotic state without looking at your blood levels of ketones? Dr. Volek: The biggest difference for me, and for a lot of people, is your appetite. When you’re on a carb based metabolism, you need to find food every few hours otherwise you start getting hungry and tired. But, when you’re burning fat and ketones, it’s giving you such a smooth flow of fuel. I can go all day without eating. I can skip a meal and I’m not in a fuel crisis because my brain’s not saying, “I need glucose, feed me.” I’ve got ketones, which are derived from my fat cells. Theoretically I could go for months. So for me, it’s that freedom and flexibility to go long periods of time without eating and not worry about an impending fuel crisis. That’s incredibly empowering, not to mention convenient. Dave: Right. So if I gave you a bunch of sugar cookies right now, and you ate a bunch of them, how long would it then take your body to go back into keto-adaptation? Dr. Volek: Again, that varies from person to person and it hasn’t been well studied. Dave: Have you done that? Have you been keto-adapted and then consumed more carbs while keto-adapted? Dr. Volek: Yeah, it does take a day or two to get the ketones back up. Dave: How did you feel? Did your body feel bad? Dr. Volek: Yeah, I don’t feel so well after that. I love carbs. Most people do. It feels great while you’re eating them, but you lose that precious metabolic state that you worked so hard to get. I just tend to think, “Why bother? Why blow it?” and then it’s going to take me a couple of days to get back into it. But I suspect that the actual cellular machinery does not completely reverse. I don’t know how to say this, but there’s probably some memory that you don’t totally lose the keto-adaptation because you have one meal of carbs. But, that’s dependent too on the person. Some people who are more insulin resistant may take longer, but it hasn’t been well studied. Dave: So how many carbs are you eating a day? Dr. Volek: Less than 50 grams usually. Dave: And how long has that been going on? Dr. Volek: Mostly, I’m less than 50 grams for the last 20 years. The majority of that time, I’ve been low carb. Dave: How’s your blood work? Dr. Volek: I have normal cholesterol, glucose. Dave: Was it psychologically challenging in the beginning? Dr. Volek: No. I was always incredibly disciplined, even more so back then. I’d eat sand paper if people told me it was good for me. I enjoy food more now, and most people feel that way when they switch. That’s the other commonly misunderstood aspect of low carbohydrate diets. 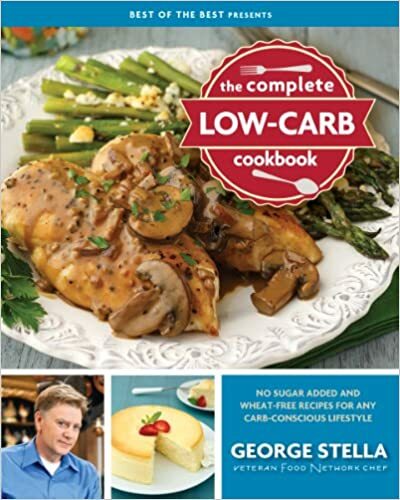 (For the Complete Low-Carb Cookbook, click here). There’s a big misconception that a low carb diet is not palatable, it’s boring, no variety, etc. Even most dietitians who are supposed to know about food think this. But when you start to look at the list of foods you can eat, it’s anything but boring. Not to mention that it’s so satisfying to be able to eat butter, or cream. Dave: So, I got another question for ya. You’re a dad, you’ve got a wife, kids. What goes on at home? Dave: And is that hard for you as a father? Dr. Volek: Sometimes yes, being a parent is by far the hardest thing I have done. I have a five and a three year old son who eat a fair amount of carbohydrate but it is clear to me they are processing carbs in a healthy way. They are high energy normal weight boys. They’re very carb tolerant. So I’m not concerned now. I don’t have a lot of sugar in the house. We don’t even have juice in the house. So they don’t get exposed to a lot of added sugars. They’re not eating cookies, cakes, and candy. Since I tend to cook low carb for myself, I will present those foods to them, but in addition, they’ll have rice, pasta, potatoes, and those types of carbohydrates. So they’re not eating a lot of junk food. It is interesting to watch them. When I was feeding them when they were one and two, they didn’t have a choice. They ate what I put in front of them and I would tend to put the foods that I would eat and they would like those. But now that they know there are options, they go for the breads and the grains. This shows how reinforcing these carbohydrate foods are that they really prefer those. The Future of Food Guidelines? Dave: OK. I think I have one more question and I think you already put a disclaimer on this. There isn’t one gold standard diet for everybody, however, if you were to say from a pie perspective (X% carb, X% fat, X% protein), in your model, what would it be? Dr. Volek: I think it’s counterproductive to have one set. I think what we have a good understanding of now is that if you are insulin resistant and if you’re overweight, there’s a good chance you have some level of insulin resistance, or if you have metabolic syndrome where you have insulin resistance as a common underlying problem, or if you have Type-2 diabetes where insulin resistance is the hallmark, it’s clear that for now, from the evidence, that your default diet should be a low carb diet. Dr. Volek: I’m comfortable saying that and I’m comfortable with the safety and efficacy of a low carb diet in that group because we know a high carb diet doesn’t work well. Dave: We’re not necessarily saying keto-adapted? Dr. Volek: Not necessarily. I think that’s where the personalization and refinement comes as to what level of carb restriction you need. But, some level of carb restrictions below what the current guidelines are. The current guidelines don’t work well for that group of the population and it’s not a small section of the population, that’s the majority of Americans. The majority of Americans have some level of insulin resistance because 2/3 of us are overweight. So what we consider average now, requires us to recalibrate our brain. The average person is insulin resistant. So we’re not talking about a trivial number of people that would benefit from restricting carbs to some level. About ¼ of people in this country are normal weight and they seem to do OK with carbs. So they’re probably fine eating MyPlate and are able to process carbs, or at least at this point in their lives. The other piece of this is that we not only vary from person to person, but our tolerance to carbohydrates changes over our lifespan. It wouldn’t be unusual to get an eye prescription change over time to see better. It’s the same thing with your diet. Diet may need to change over time. And from most people, your carb tolerance gets worse as you age. You may be able to get away with eating more carbs when you’re young, but as you get into middle age and older, you may find that you can’t maintain your weight eating that same way. Dave: Makes sense. So you’re not really comfortable really putting a recommended diet in a pie chart? Dr. Volek: Well, no. I think in the future, and I think we’re not too far away, from having real diagnostic tests, that can help people determine what diet works best for them. We’re very unique people. Dave: So what’s yours, the person one for Jeff Volek. What’s Jeff Volek pie chart look like? Dr. Volek: Mine is about I’d say 5-10% carb, 15-20% protein, and probably about 70% fat, if that math is correct. Close enough (laugh). Probably closer to 5% carbs on most days on the upwards of 70-75% fat because I want to stay in ketosis. And to do that, I’m not losing weight so I have to eat enough energy to maintain my weight and my protein needs to be locked in at relatively low to moderate levels, so that just leaves fat to make up for the rest of the calories. And I never count calories. Once you know what level of carbs and protein you need to maintain ketosis, the rest is just manipulating fat to your satiety (feeling of fullness) level. If I’m hungry or losing weight, I’ll eat more fat. And I’ve effortlessly maintained my weight over 20 years without counting, I never count calories. Dave: Can I ask you another personal question? Dave: How about your parents? What is their health like? Dr. Volek: I’m fortunate, I have pretty healthy parents. My dad turns 80 this year and he’s an anomaly. I don’t think he’s on any medication. He’s normal weight. So I’ve got some good genetics. Dr. Volek: Mom has some cholesterol problems and high blood pressure, but she’s controlling it with medication. She turns 78 this year. So she’s doing pretty well too. But, they don’t listen to their son. Dr. Volek: They do listen a little bit more as they get older. Actually my dad does watch his carbs and he’s probably sold a few books for me. Dr. Volek: “This is my son, the author.” (laughter). But, they do pretty good on their own. So I don’t harp on them too much. Dave: In Jeff Volek’s deep heart, he probably has something he wants to aspire to do for the world. What is it? Dr. Volek: Well I guess I think as scientists, we all want, whatever we’re doing, whether it’s basic science, or applied science, we’re doing something to enhance knowledge that would help to better human health. I think it all can be put into that kind of context. I feel fortunate that I’m studying a topic that’s directly relatable to human health, human empowerment, and just helping people feel better. I think that’s what diet can do. It can have very profound effects on your health and your quality of life and that we really need to be open-minded about finding the right diet for each person.